Imprint Method: UNIMPRINTED - Perfect for college students and city dwellers, this mesh laundry bag will make trips to the laundromat so much easier! 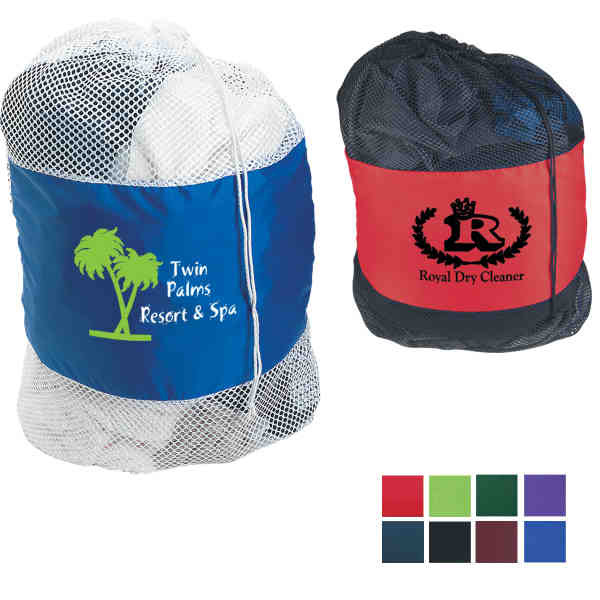 Measuring 25" x 36", this useful item is made of 210-denier polyester with a soft nylon mesh body and features a drawstring closure for simple operation. Spot clean/air dry. It is available in an array of colors and can be customized with an imprint of your company name, logo and more for increase brand awareness. Size: 22 " x 31 "